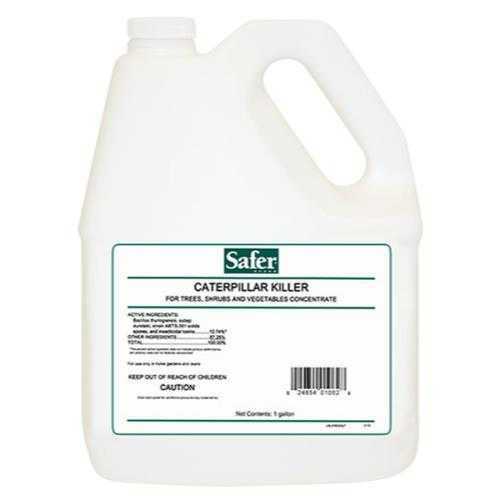 This pest control product is very effective in killing caterpillars and worms, including corn earworm, bollworm, armyworm, diamondback moth, green cloverworm, hornworms, loopers, melonworm, pickleworm, tomato fruitworm, tobacco budworm, salt marsh caterpillar, mimosa webworm and imported cabbageworm! The Safer® Brand Caterpillar Killer utilizes Dipel (bacillus thuringiensis var. Kurstaki) which, once ingested by the wayward caterpillar or worm, kills them within a few days. This insect killer is the most economical and convenient natural pest control solution to caterpillars and worms on the market!